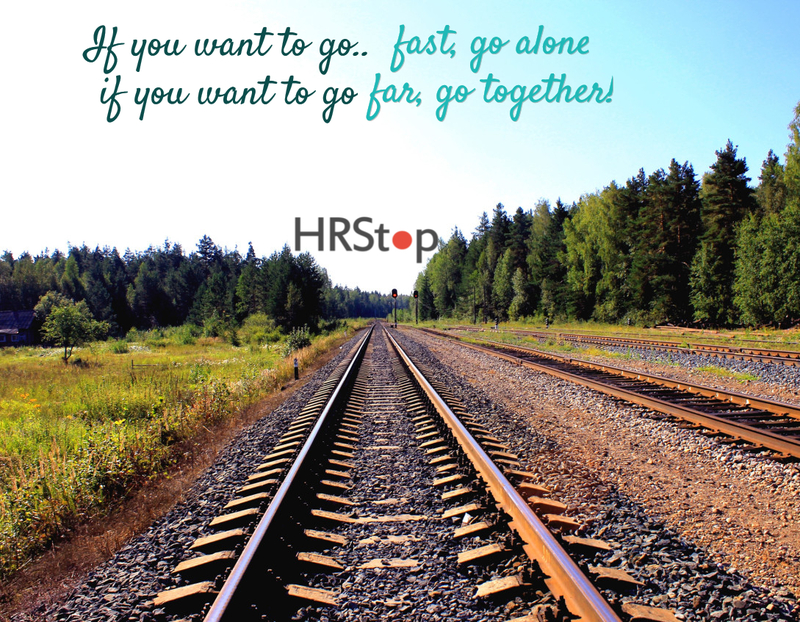 There’s no better way to create a productive work environment than through the power of teamwork. When each person contributes to the joint success of a team , your workforce becomes significantly more than just the sum of its parts. In the age of social media and digital collaboration, being able to work as part of a team is more important than ever before. From improved productivity to a better work environment, providing helpful feedback to each other to learning each other’s roles, nurturing team spirit is essential for every healthy business. At the new- age workplace more and more work is happening in groups that requires a high degree of teamwork. So how do you go about building a super achiever team at work? A common vision keeps a team together. To achieve a higher degree of alignment, it’s best to involve all the team members in framing the vision/ common mindset. Studies show that people work harder and are most effective when they have a sense of choice and ownership. Follow the rule: what gets measured gets done, your team members would love to have yearly goals and checkpoints to chart their progress. It may not be a bad idea to set goals (with reasonable limits), more often than not, they help pump up the adrenaline and team members discover the hidden potential in them. Try to encourage the members and build a culture of celebrating big failures, rather than hiding them under the carpet. This will ensure that the team members don’t go into hibernation once they encounter failure. Let everybody learn from the failure so that it does not get repeated ,failures will make them intelligent. You don’t have to agree; you just have to understand and in order to do that just listen patiently and stop judging. Never try to put words in the mouths of team members, let them try and to express openly their opinions. Doing this builds trust among the members. Follow the motto of work hard and play harder. Team that parties together, stays together for a longer time is a well connected team. Make sure you follow the corporate guidelines on partying. However, just partying and not following other principals of making effective teams is a waste of time, effort and your company’s money. High performing teams are composed of diverse groups and they learn how to take advantage of each team member’s strengths and weaknesses. Successful teams specialize in covering for each other and appreciate the diverse skill sets different members have. Resolving conflicts without booing other team member down is one of the most important ingredients of a winning team. Remember the sum is greater than the parts, provided you get the parts right!